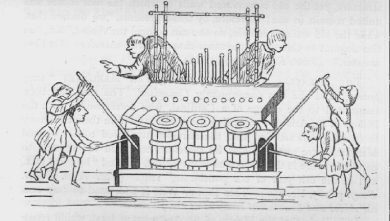 In the book entitled `The annals of Dunfermline` there is mention of an organ being present in the Abbey as early as 1247 but little is known of this instrument apart from its existence. The above engraving represents the appearance and the working of an organ of 1240. It is taken from the “Psalter of Edwin” in the Cambridge Library. There is no further record until the Scottish Reformation in 1560, when the use of organs was forbidden. However, as the musical demands of the monastic liturgy were considerable, it is reasonable to assume that organs must have been in use in the Abbey during these intervening three hundred years. 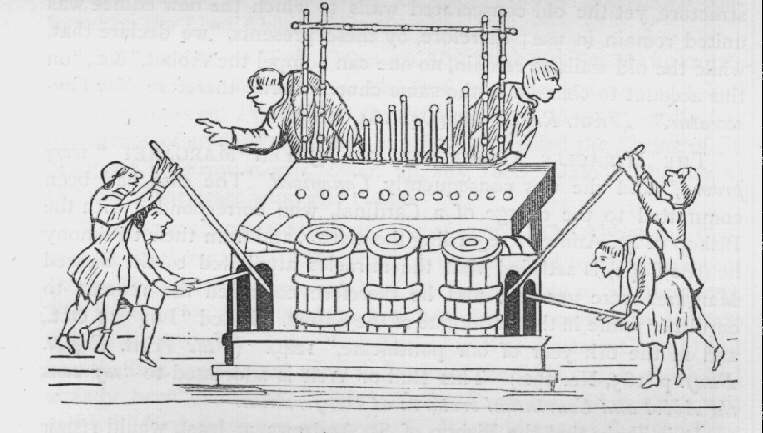 In 1866 the General Assembly of the Established Church of Scotland permitted the re- introduction of organs. The first instrument to be installed in the new church was a Two Manual and Pedal organ built by Messrs. Forster & Andrews of Hull in 1882. By comparison to the size of the church it was a relatively small instrument. However, it served the congregation for twenty eight years. In 1911 Messrs. Scovell & Co. of Edinburgh were commissioned to build a four manual and pedal instrument. This was to incorporate some of the flue work and the case from the former organ. It is known from reports that the tone of this new organ was distinctly warm and cohesive. 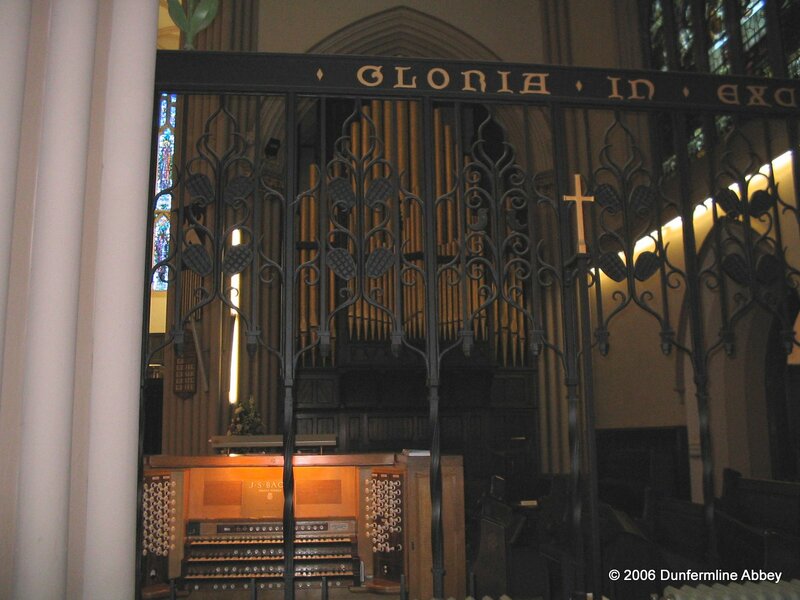 The 1911 organ served the congregation well until 1965 when the mechanisms and general condition of the instrument demanded fairly substantial restoration. The opportunity was taken to rebuild the organ and bring the tonal specification up to date with current ideas. It incorporated most of the 1911 pipework, revoiced and rescaled to bring it into line with modern practice. New stops were provided, together with electro-pneumatic action and a new draw-stop console which was sited at the near the east wall of the chancel. From 1984 to 1987 the Abbey underwent considerable internal restoration and the opportunity was taken to remove the organ from its north chamber for essential cleaning and also to provide additional stops. The console was also moved from its position near the east wall of the chancel and re-sited closer to the central space. The work was entrusted to David Loosley of Stirling.